In the current era of the digital economy, the collaborative economic system, being a successor of the capitalist system, has led to a greater wave of sharing of scarce resources and to the creation of interdependent networks of rational beings. In spite of its promising features of abundant liquidity and efficient utilization of the underutilized scarce economic resources, the system is still in its early stages of development and suffers from some serious problems that hamper its deployment. In order to unlock the potential of this economic system, there is a need for conciliating the individual freedom of economic agents and the common good of the information society encompassing it. 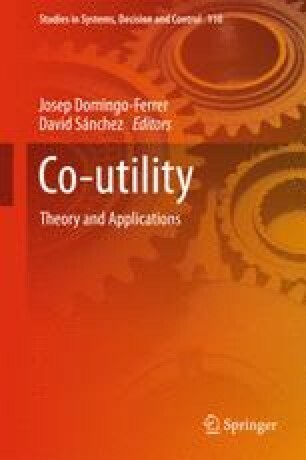 In this chapter, we tackle this issue by relying on the recently minted concept of co-utility, which refers to a self-enforcing and mutually beneficial interaction among self-interested agents. By means of co-utility, we aim at mending some of the fractures underlying the collaborative economy due to key hindering factors for potential collaboration. Further, the potential collaborations within each of the use cases presented in this text (i.e., the crowd-based business models and the P2P online lending market) are fostered by co-utile solutions, arising either naturally or artificially through incentive schemes.